Enchanted Village Phase Two – TowersStreet - Your premier Alton Towers guide! 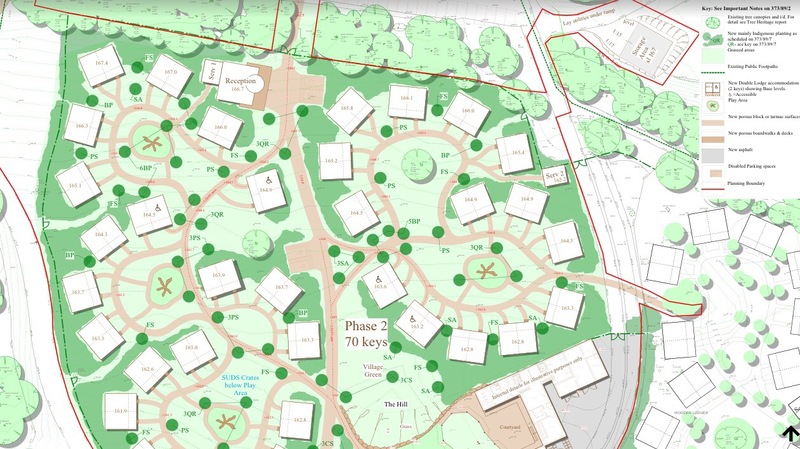 Planning documents shown on the Staffordshire Moorlands District Council planning portal on 2nd February 2016 detail Phase Two of the Lodge Development known as the Enchanted Village. 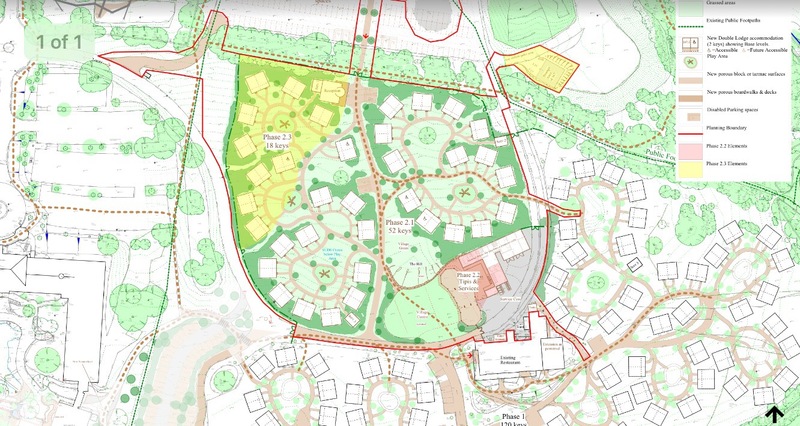 These plans cover a three phase development, including 35 new double lodges (70 rooms) along with an outdoor tipi-style entertainment area, to the existing Enchanted Village. This new development is to be built to the north of the existing development. Although the development dates are very much in the future, the planning application also indicates that construction on the previously approved Alton Towers Hotel extension is due to commence in May 2016. Do you have any thoughts on the expansion plans? Join us over on our popular Talk forums, and stick with us on Facebook and Twitter for news and updates. « News Roundup: Galactica, TLC and dining changes ahead?